This year’s summer travel season is recording major flight disruptions all over Europe, caused especially by cancelled and delayed Ryanair flights following strike actions. 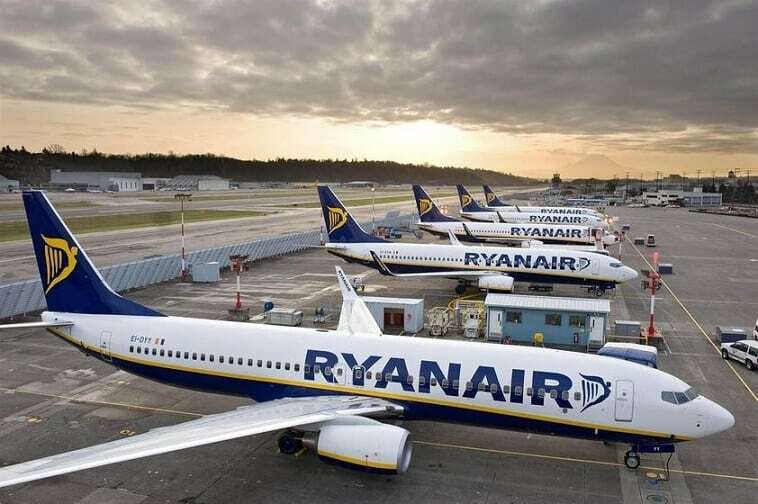 In light of Ryanair reaching an agreement with Irish pilot union FORSA, this lets passengers hope that this year’s summer travel chaos due to strike disruptions will finally come to an end. Now it is time for Ryanair to finally settle the bill for their own customers! AirHelp has analyzed how much Ryanair should be putting forward to compensate passengers and encourages affected passengers to assert their right to financial compensation. Within only 12 days of strikes, 270,000 passengers could be owed around $90 million in total compensation following disrupted Ryanair flights that were cancelled or significantly delayed due to its staff being on strike. Henrik Zillmer, CEO of AirHelp and passenger rights expert, comments: “Now that Ryanair has paid its open bill to Irish pilots, accepting their call for better working conditions, it is time to also make it up to all the thousands of passengers whose travel plans were destroyed due to Ryanair’s mismanagement in the past 2 months, making it one of the most chaotic summer travel seasons ever. In case of a flight that is delayed for more than three hours or canceled, and in instances of denied boarding, passengers may be entitled to financial compensation of up to $700 per person in certain circumstances, in addition to any rerouting or refund of the original ticket. If a flight meets this criteria, passengers may be eligible to claim compensation, even if they are from the U.S. or another country outside of the EU. Furthermore, the reason for the delay in flight operations must be caused by the airline. The right to financial compensation must be claimed within three years of the delayed date of the flight. If you are stranded at an airport for more then two hours, the airlines are also obliged to provide passengers with meals, free drinks, access to communication and even an accommodation, if needed. The European Court of Justice in April 2018 ruled that airlines must compensate their passengers for flight delays and cancellations, even though the reason for this was a strike by airline staff, applying to all previous airline strikes and new ones.